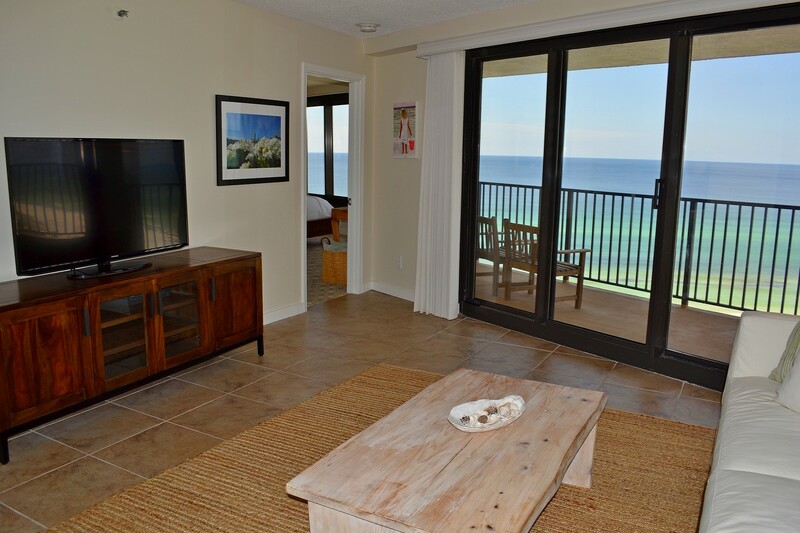 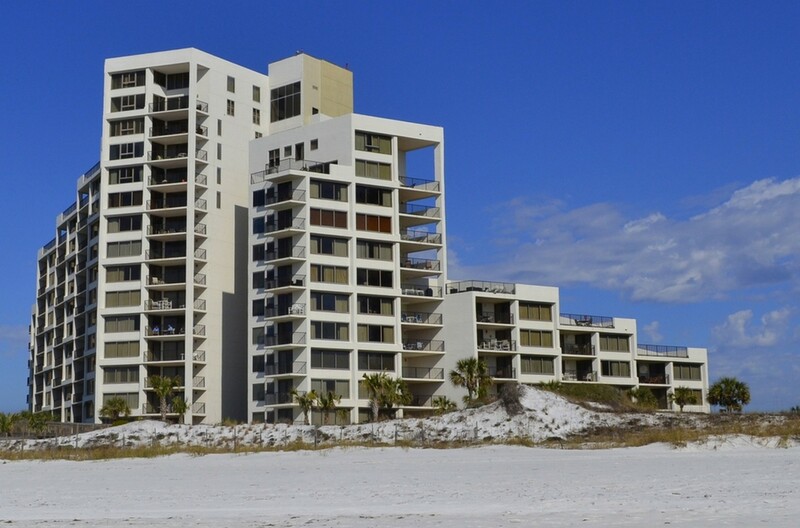 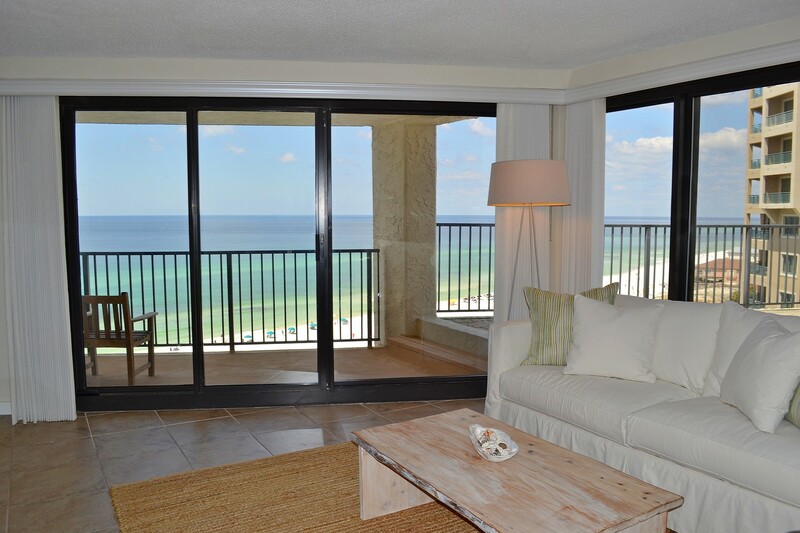 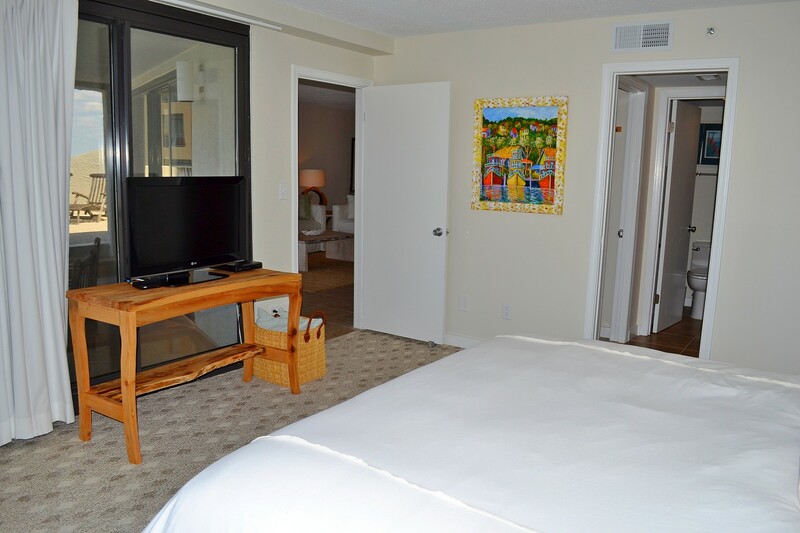 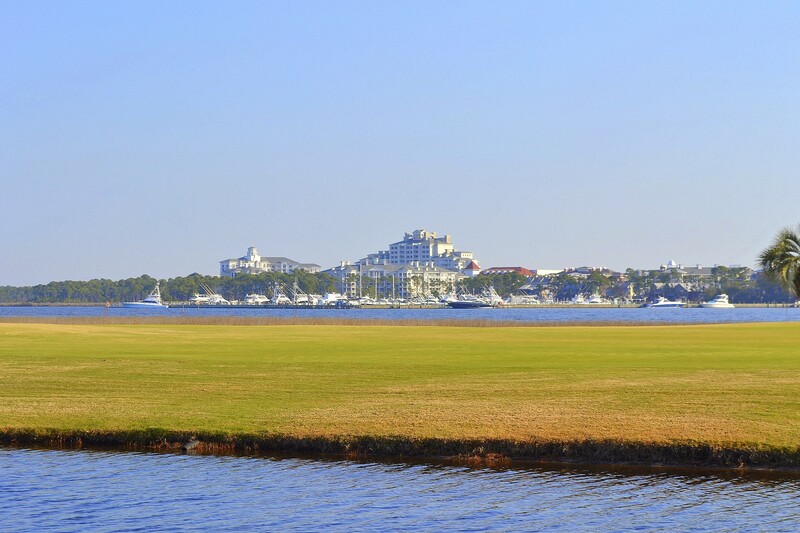 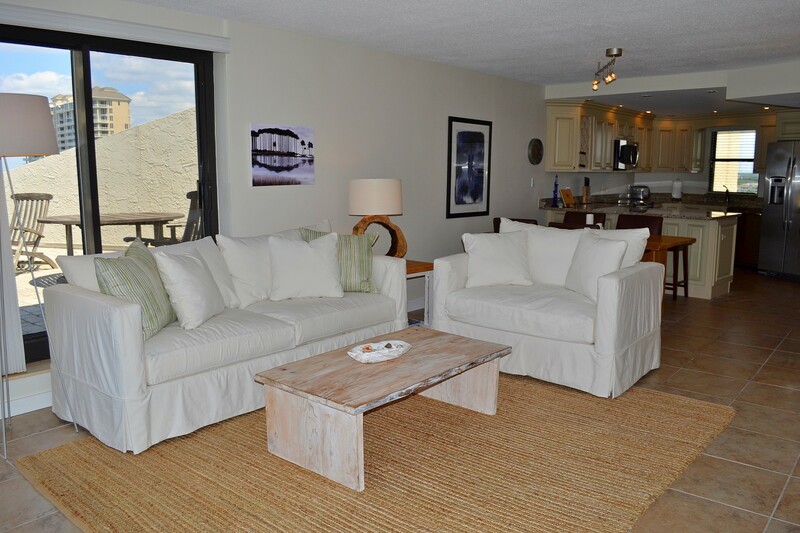 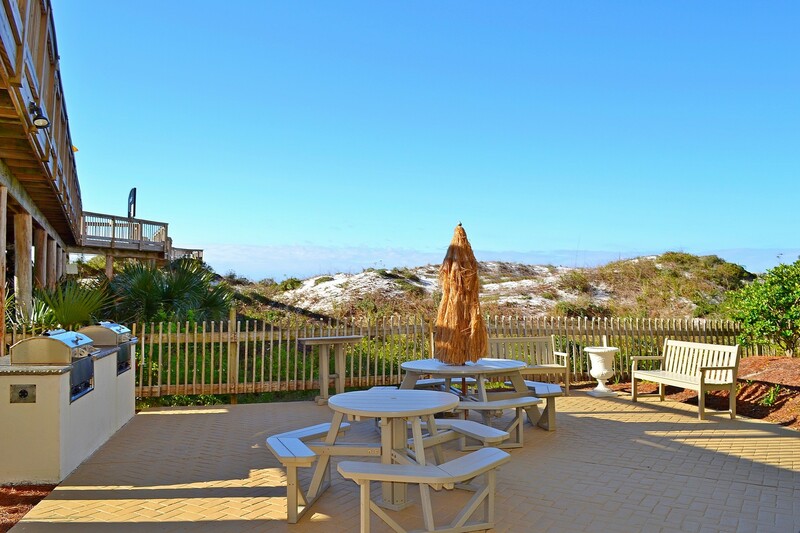 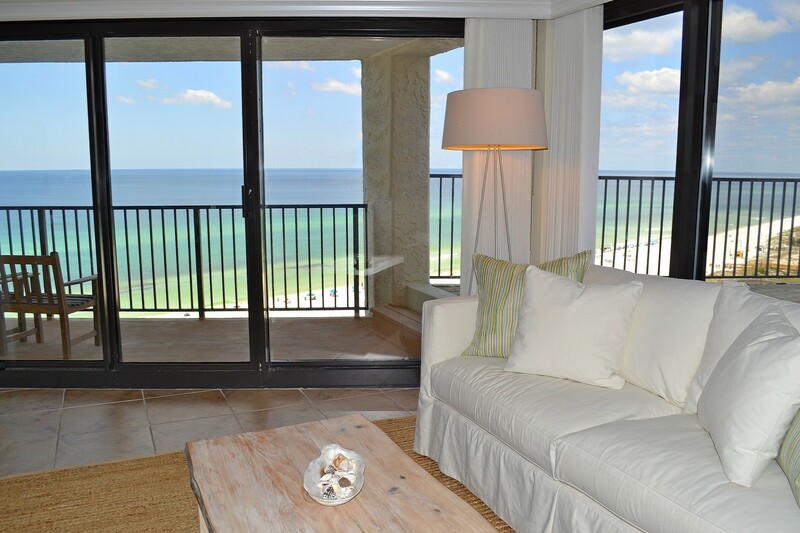 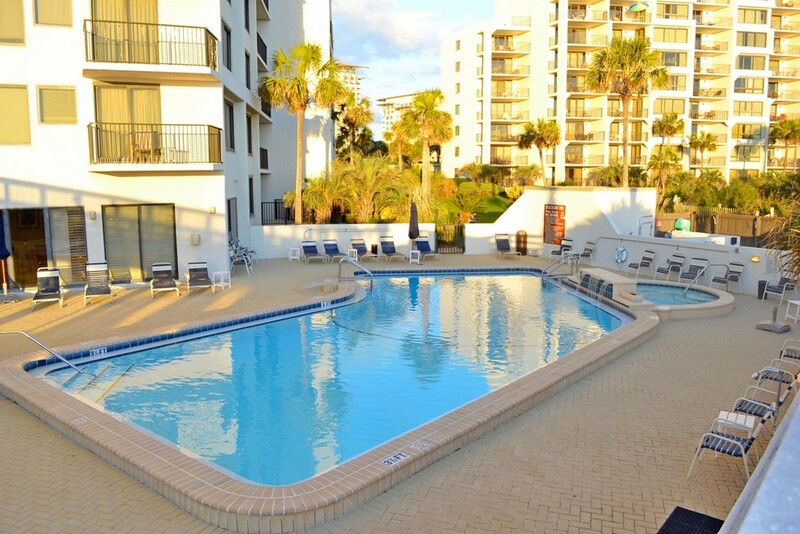 Unit 4122, located in the Sandestin Resort’s Beachside I on the 12th floor, is a Gulf front, Beachfront condo. 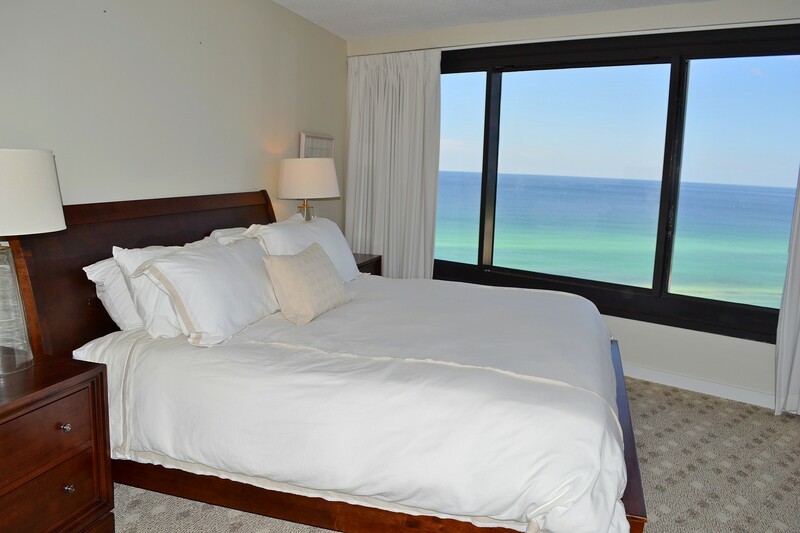 Inside you and your guests will sleep comfortably in a King bed in the master, 1 King bed in the guest, and a sofa sleeper in the living room. 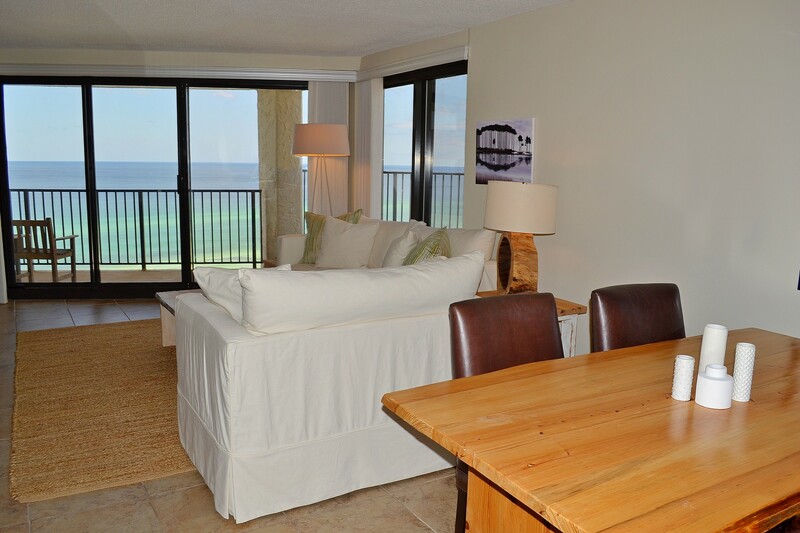 Beachside I 4122 is a fully remodeled beachfront condo with an unparalleled 350sqft terrace and balcony. 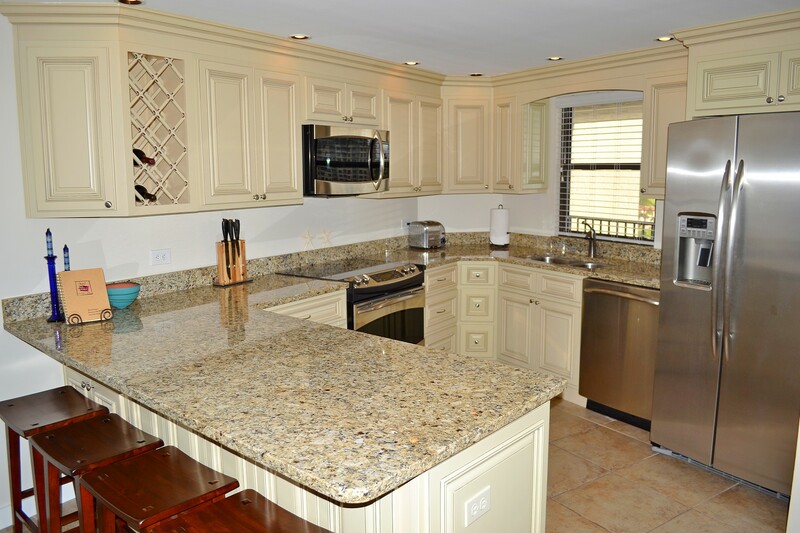 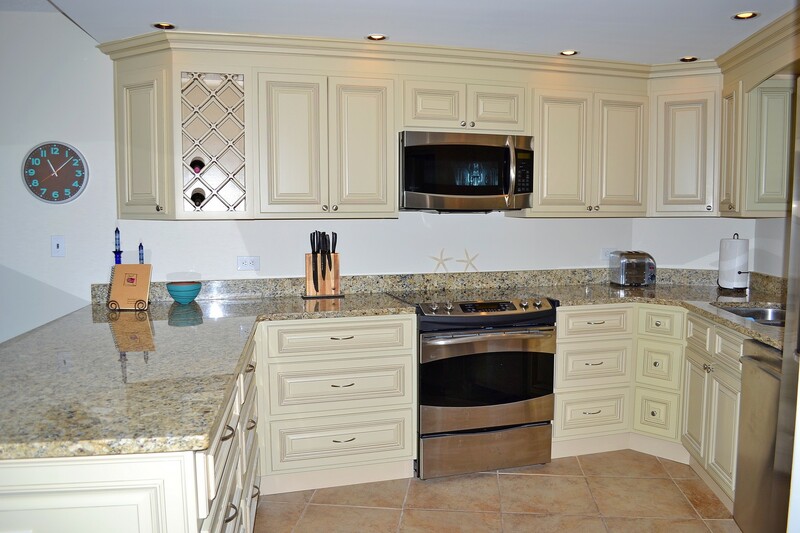 Enjoy having an open, completely updated kitchen at your disposal to make great meals – with stainless steel appliances throughout, plenty of granite countertop space, your own wine rack, and spacious breakfast bar. 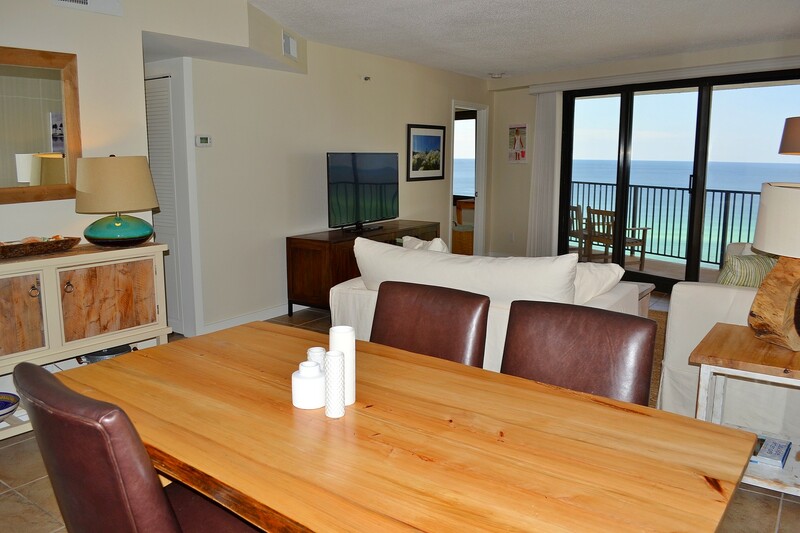 Spread out on the long dining table with plenty of seating for your guests! 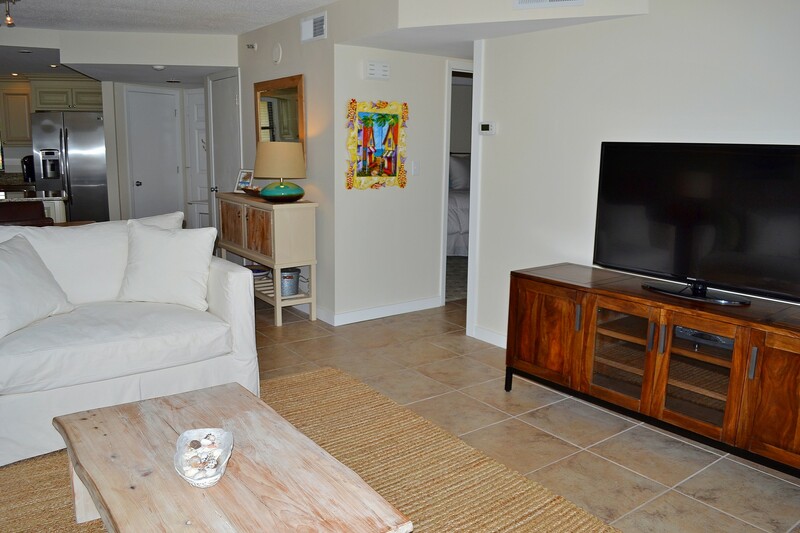 After a long day in the sun, take a night-in to relax with movies in the roomy living area with a love seat, a full-length couch, and an upgraded HD TV. 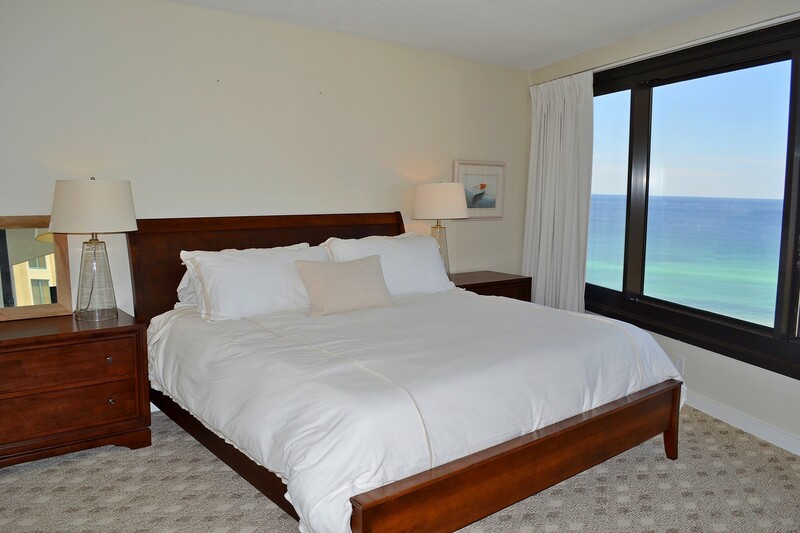 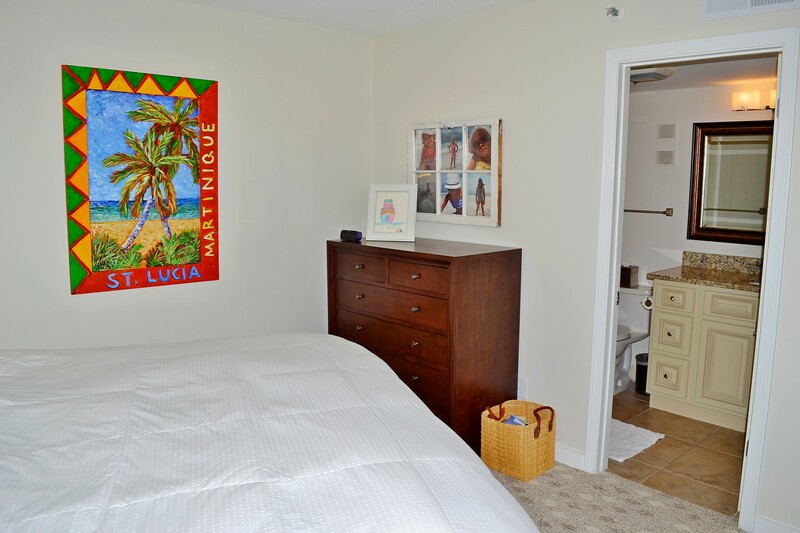 The master bedroom features a King size bed with a beautiful ocean view, flatscreen TV, and private entry to the master bathroom – with a new walk-in shower! 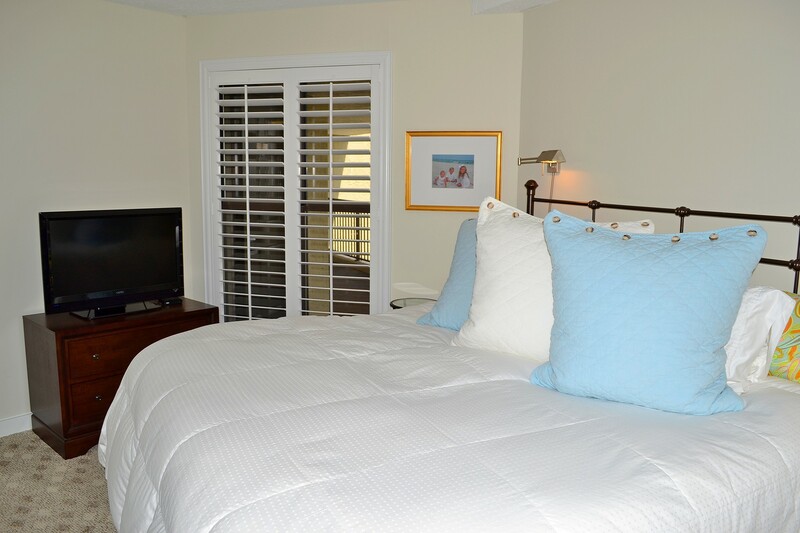 The guest bedroom also has a King bed, plenty of storage space, and its own additional entry to the guest bathroom! 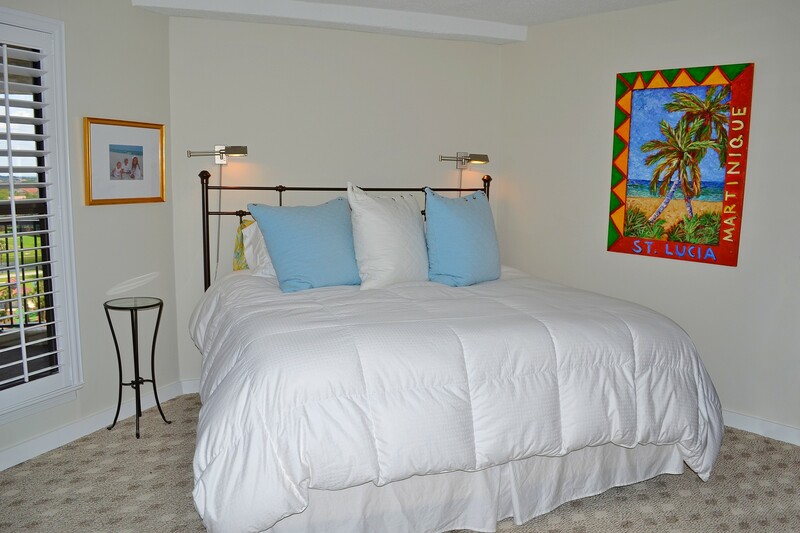 Also, the couch in the living room pulls out into a Queen size sleeper, making this unit comfortably sleep 6. 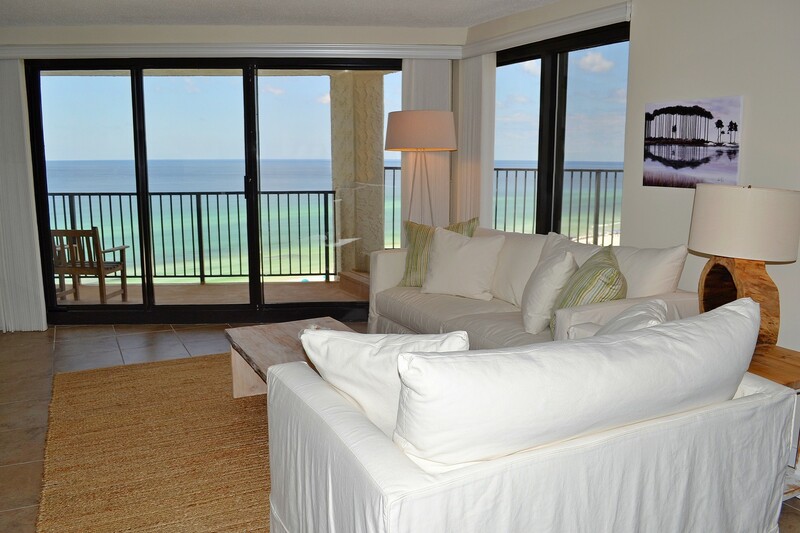 Beachside I, located in the beautiful Sandestin Resort, offers unique features that are guaranteed to make your vacation experience more pleasurable. 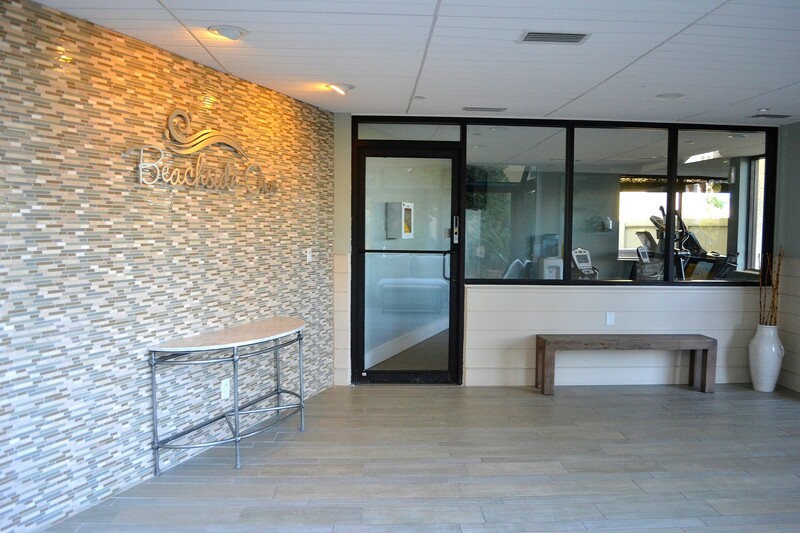 You'll be able to work up a sweat in the on-property fitness center on the ground floor. 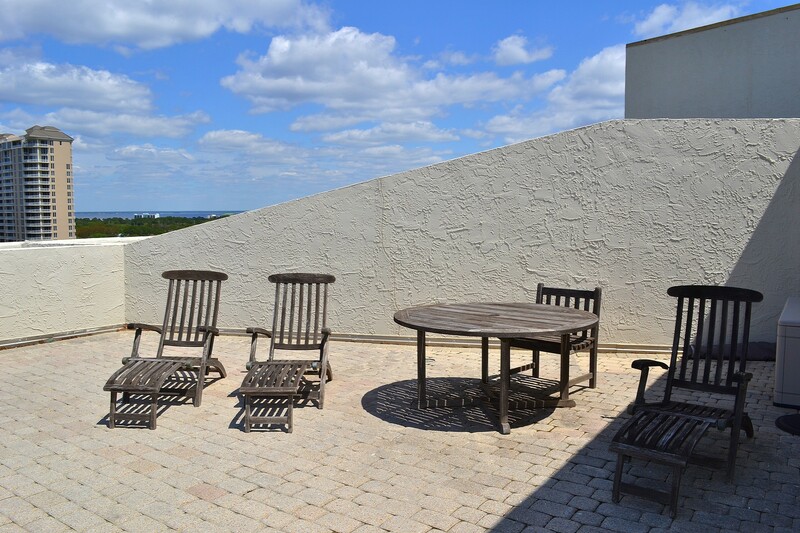 After working up an appetite, grab the hamburgers and buns for a family meal on the outside grills by the pool. 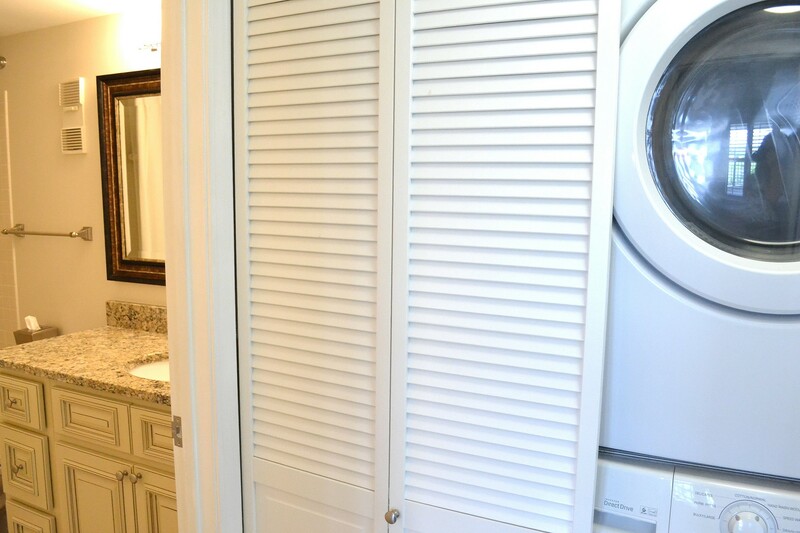 An ice machine is on site for your convenience. 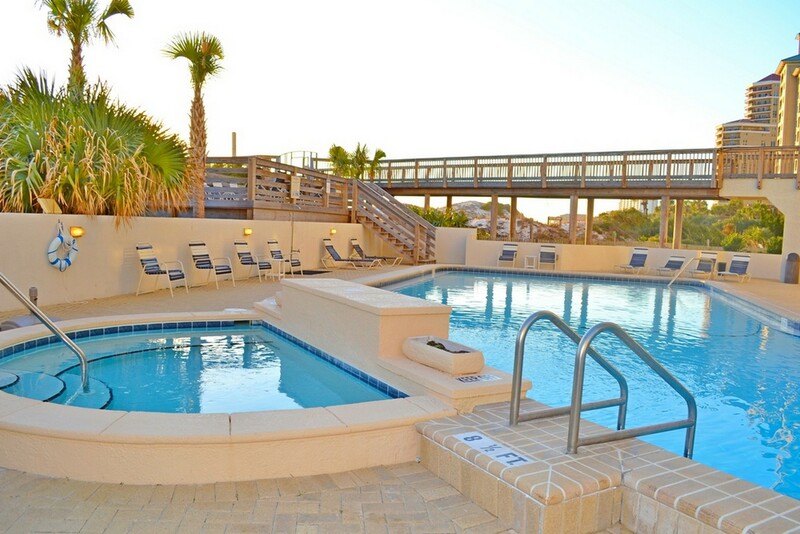 Float around in a big, inflatable raft in the pool or relax in the evenings in the NEW hot tub! 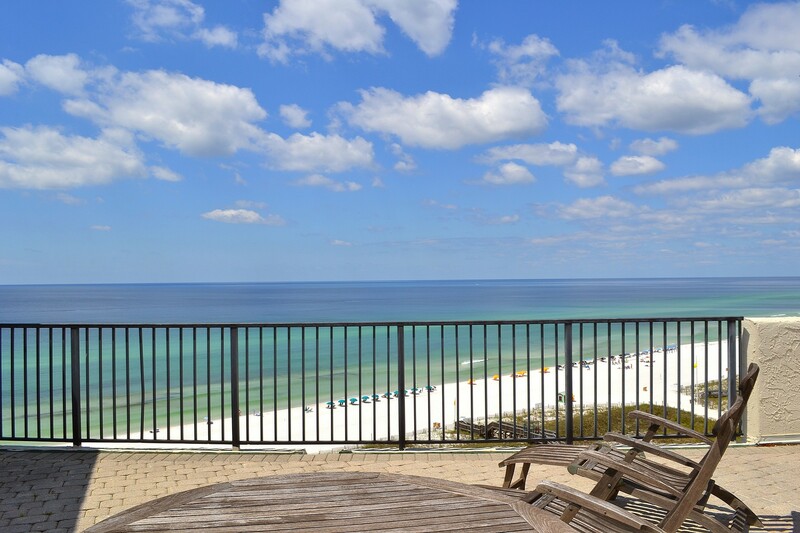 Of course the beach is seconds away. 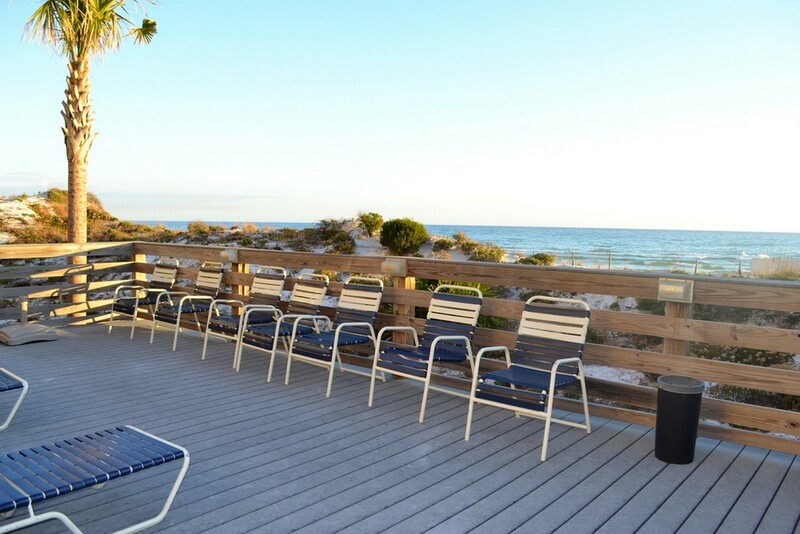 If the beach gets too crowded, come back and relax on the tanning deck. 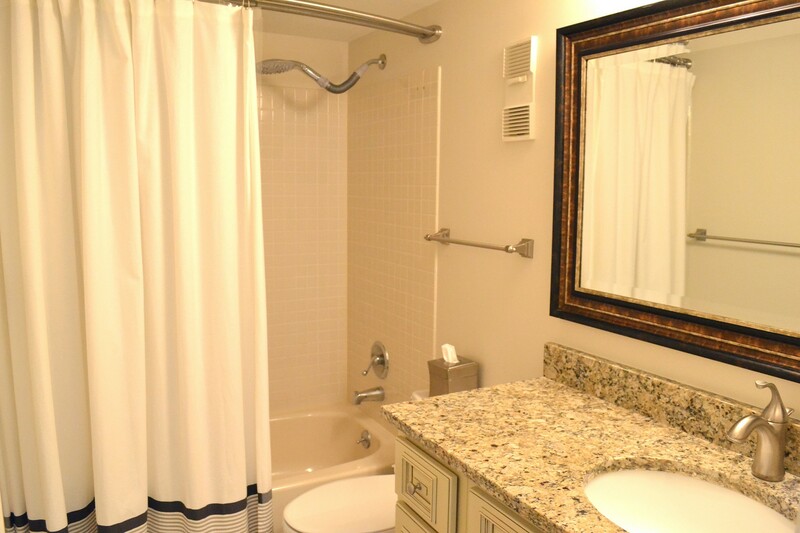 There's plenty of space for everyone! 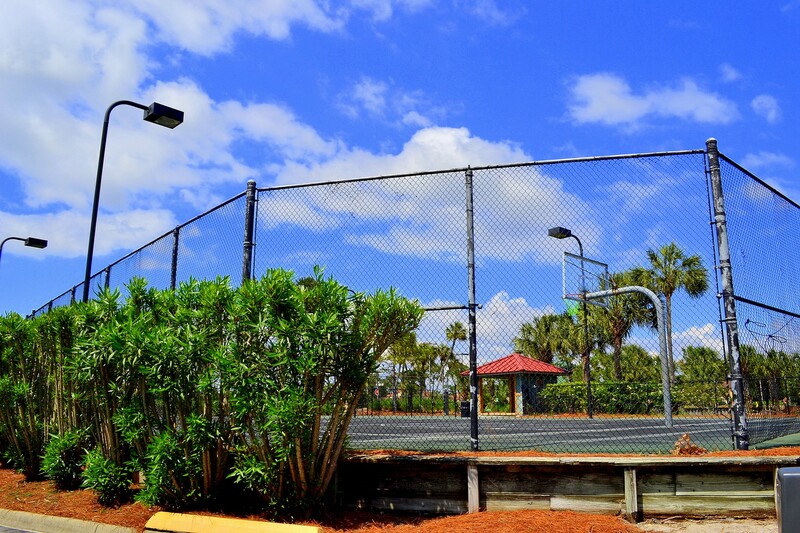 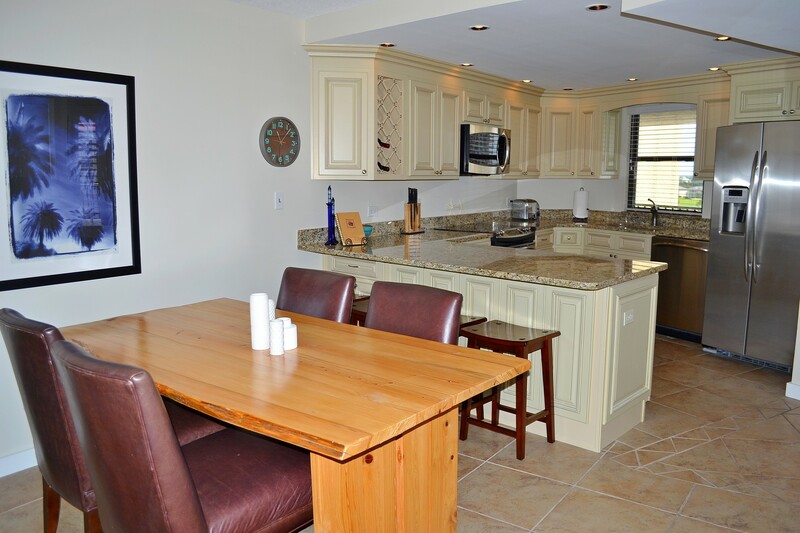 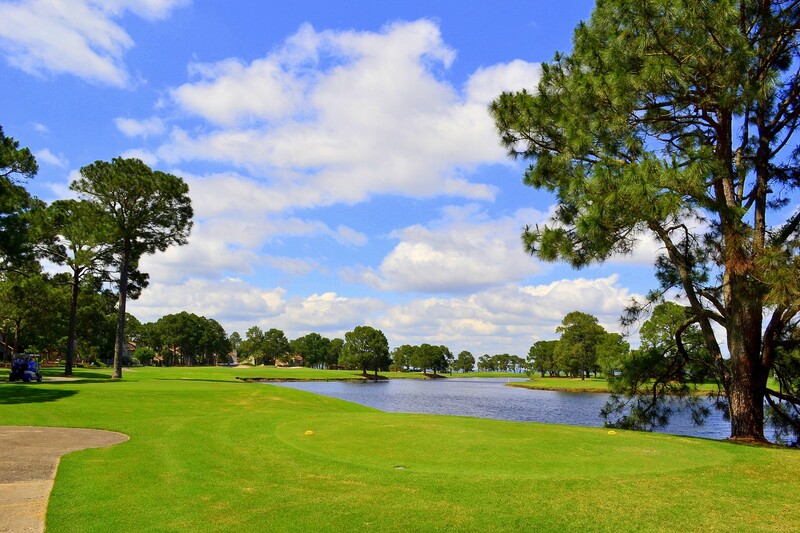 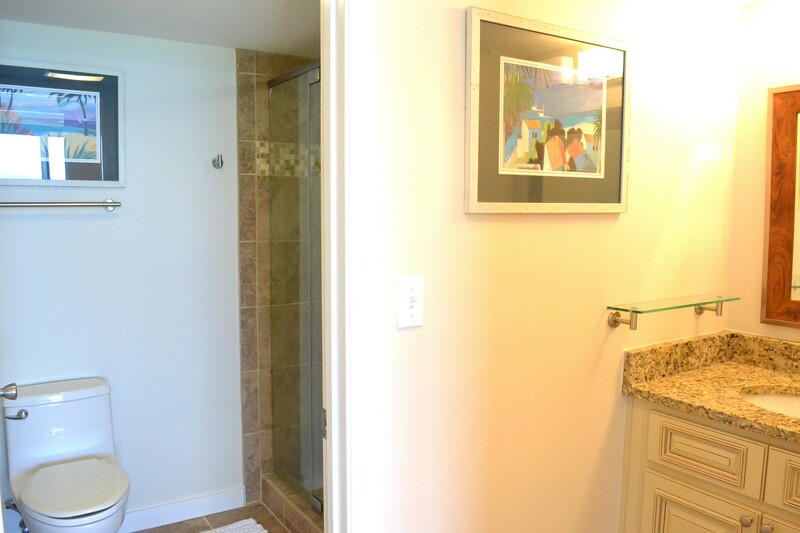 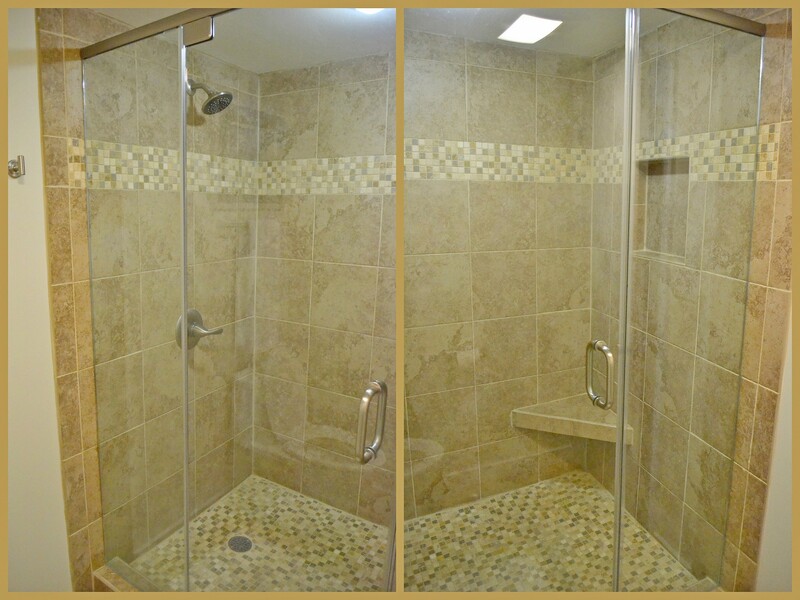 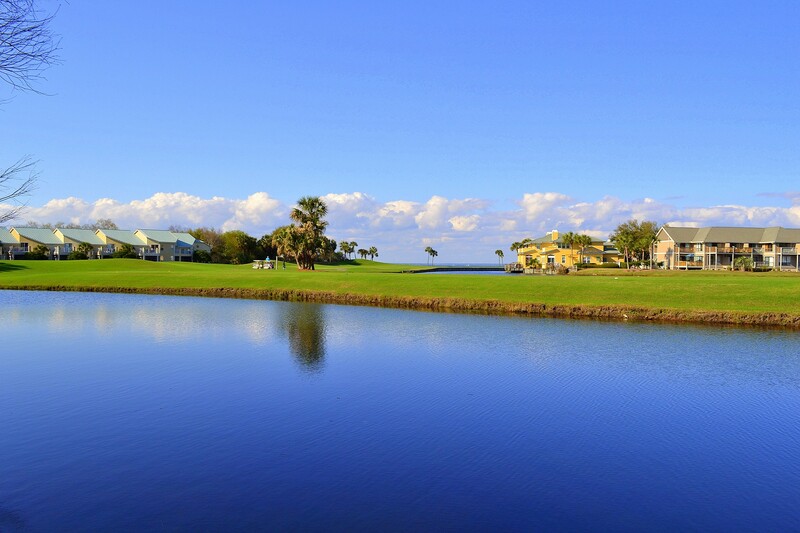 Keep in mind you are within a secured community and gated resort building, so you will be able to relax in comfort. 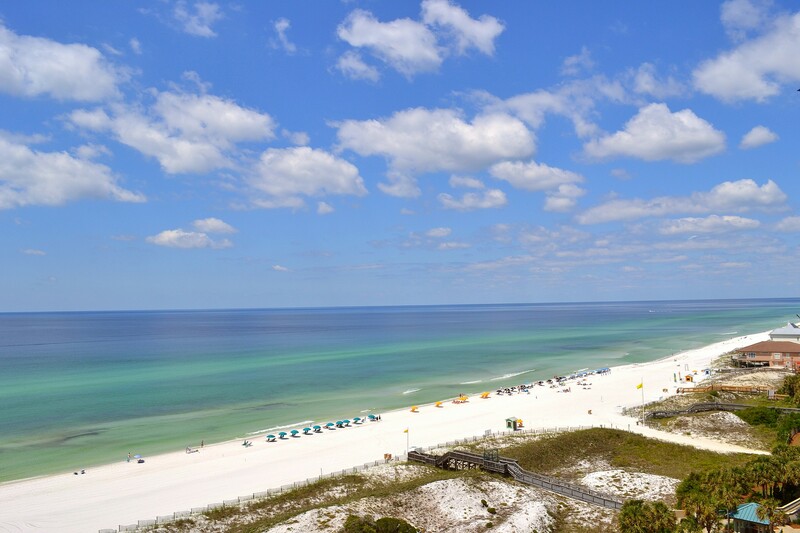 Public beaches are a short drive down the road if you are looking for more action! 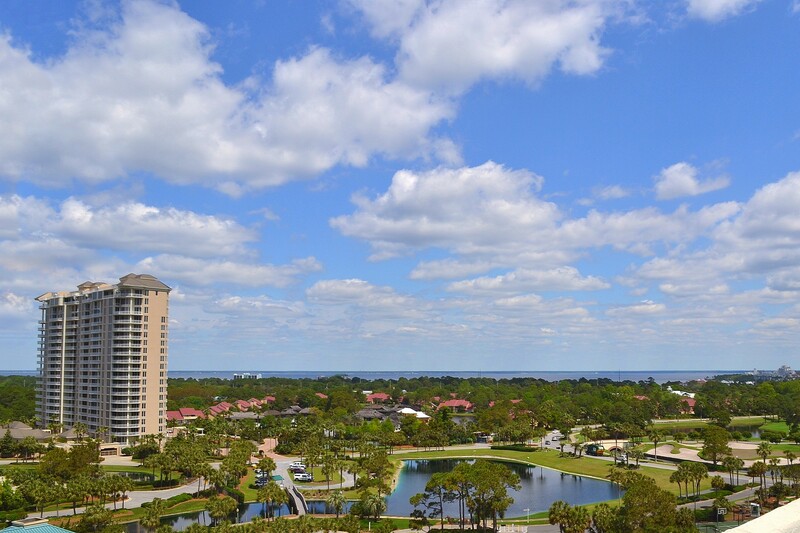 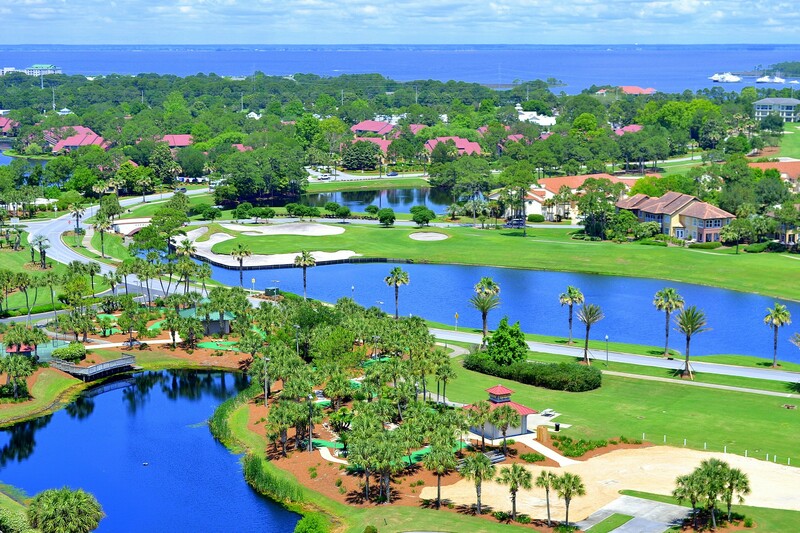 Take an afternoon stroll or exciting bike ride throughout the paved sidewalks of the resort. 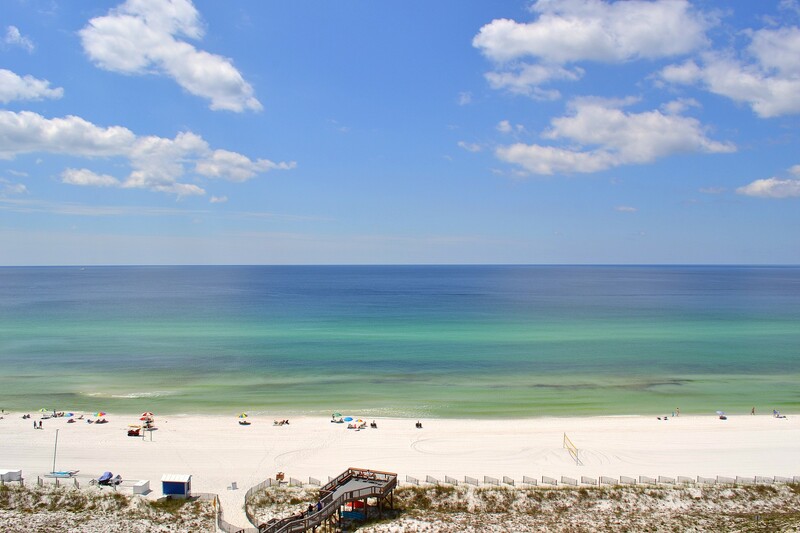 Everyone is bound to have a wonderful time while here!